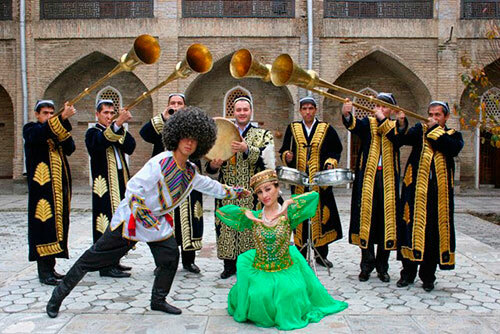 Uzbek dance is a story without words. 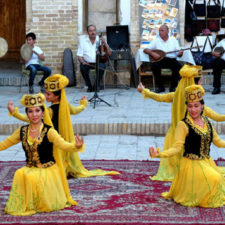 For several centuries, the dance has been transmitting the original culture and traditions of the Uzbek people. 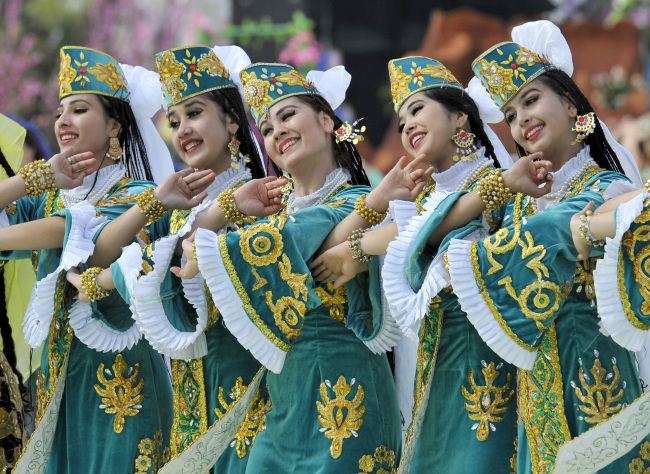 Particular attention during the dance is given to thehand movements, which are accompanied by expressive facial expressions. You can unmistakably recognize whether it is joy, sadness or a sincere feeling of love. Khorezm School. 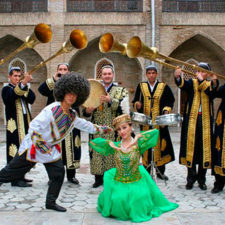 Khorezm dances can be compared to bright circus performances: dance is performed with fire, knives, and even on ropes! The philosophy of dance is the personification of nature. Movements of dancers resemble movements of animals. 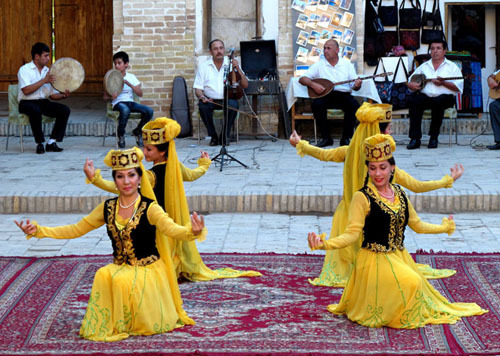 The brightest Khorezm dances are considered to be “Lazgi” and “Dance of broken hands”. 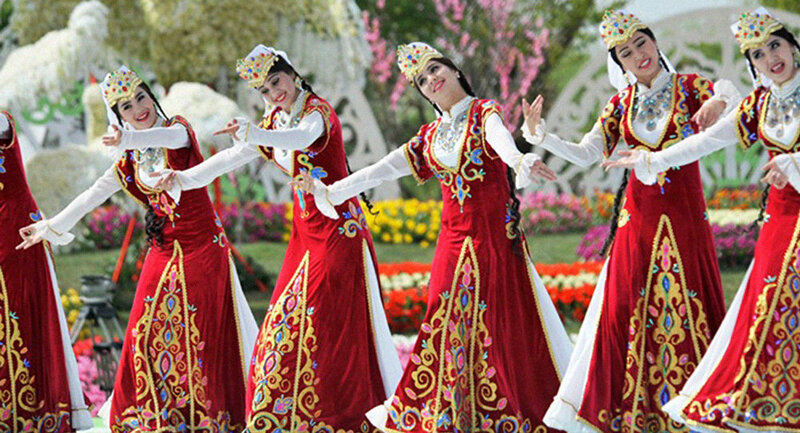 According to the legend of the origin of this dance, one day the concubine of the ruler broke her fingers, and in order not to upset her ruler, she began to dance without bending fingers. The ruler considered this method as a new kind of dance. 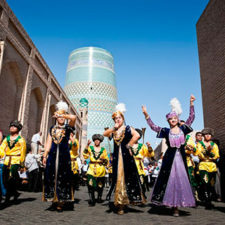 Bukhara school. 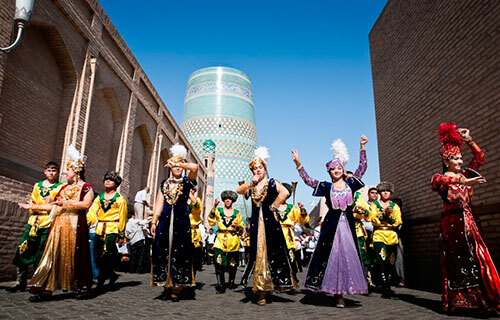 The Bukhara school absorbed the traditions and culture of not only Bukhara, but also Samarkand. Clear and sharp movements guide representatives of this dance school in their performance. In addition, the plasticity of the dancers is mesmerizing! In order not to lose the rhythm, the dancers use “kairok” (eastern castanets). 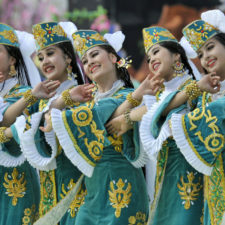 The most popular dances are called as “ZaminBozi”, “Larzon”. 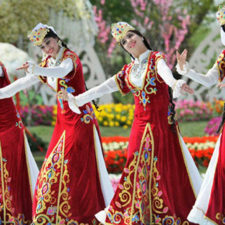 The Uzbek dance is not only incredibly bright and spectacular, but also very sincere. Dancers put their hands on the heart before starting the dance and then stretch them to the sky. This gesture show that everything comes from the heart. It is better to see once than hear a hundred times.